Back to some yummy post here! I will share some promotion that you shouldn't miss out at Naughty Nuri's. 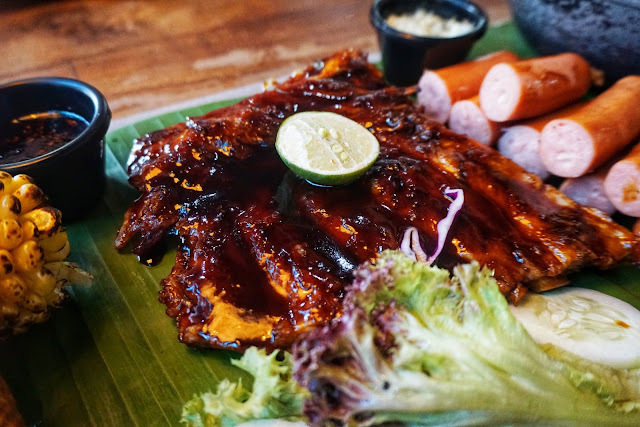 Naughty Nuri's is originally from Indonesia and they have been famous with their yummy ribs. 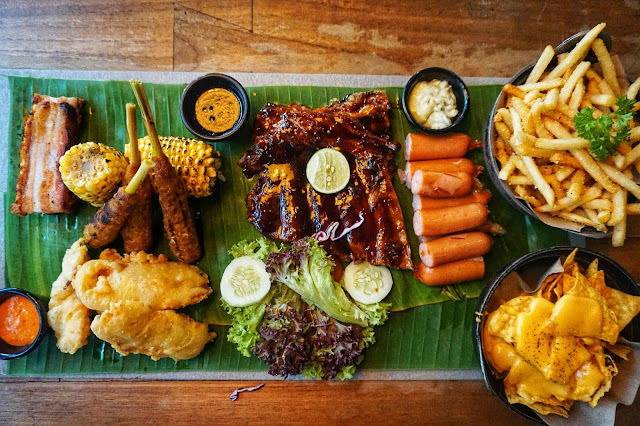 Now due to our recently GE 14, Naughty Nuri's has created a special platter to represent the seats that were taken part in this GE 14. Wanted to know what's on the platter? Read on! 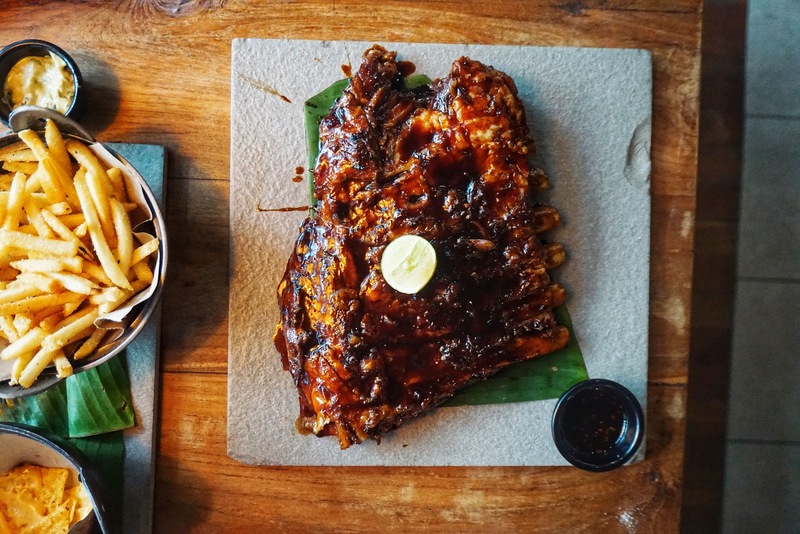 This Simple Majority Platter consists of one mixed salad, two snacks - Cheezy Truffle Fries and Mini Cheezy Nachos, 5 porkylicious servings - BBQ Satay Lit, Signature BBQ Spare Ribs, Naughty Cheesy Sausage, Crispy Baconlicious Strips, Crispy Roast Pork. The serving of this platter is so freaking huge and with only three of us, we barely finish all the food on this platter! 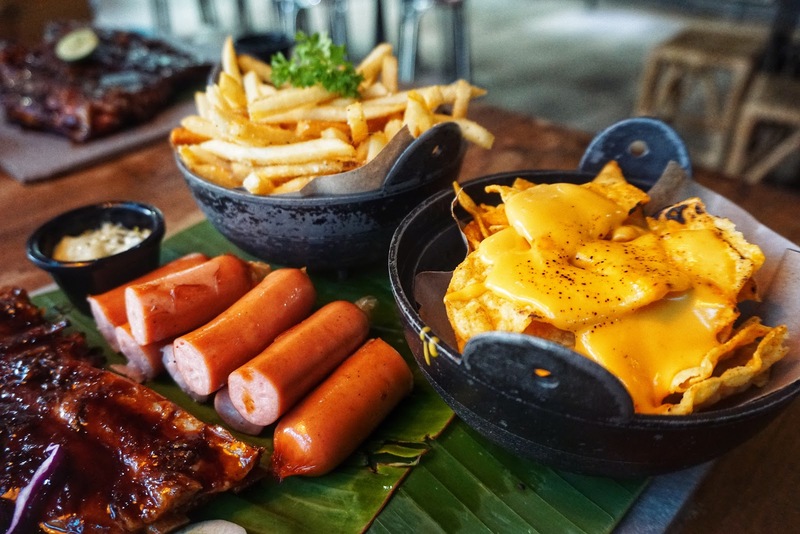 This platter definitely perfect for 3-4 pax. As usual, their BBQ spare ribs always taste the best! Their rib is nicely grill to perfection! With the special BBQ sauce, it tastes super appetizing and addicting. The meat is super soft and easy to eat too. Even my mum can't stop praising for this BBQ spare ribs! 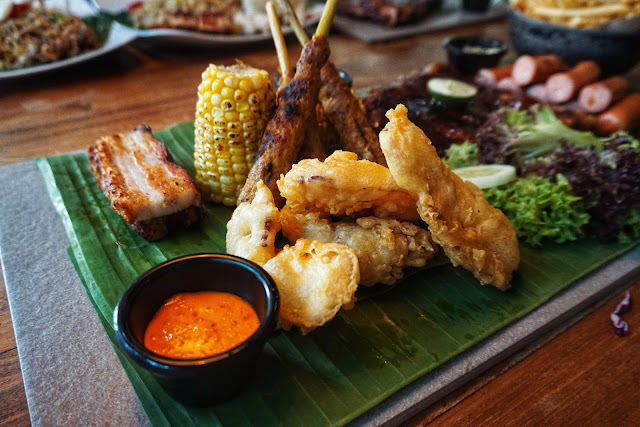 What I love about this platter is the satay, which they use the meat to wrap around the lemongrass. It tastes really nice too! The Naughty Cheesy Sausage is so yummy too, it has the chewiest texture of a sausage and when you eat it while hot, the cheese literally just melted into your mouth! Not forget the roasted pork, it tastes so good that is not too salty for me and it has the crispy texture on it. You must order and try out their Signature BBQ Spare Ribs at Naughty Nuri's! 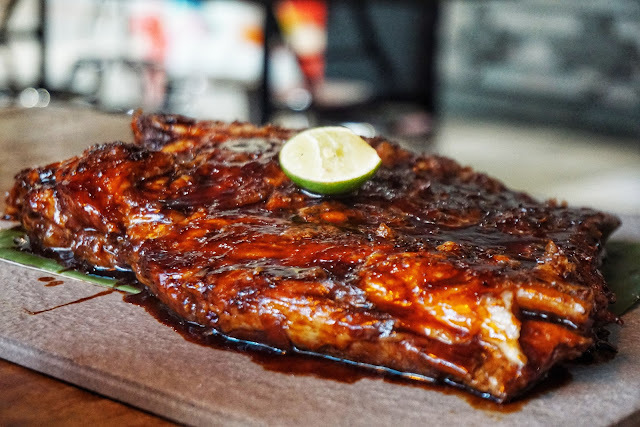 I really love the texture of the ribs and the taste of the sauce. The sauce compliments the ribs so much and super addicting to eat the entire ribs! 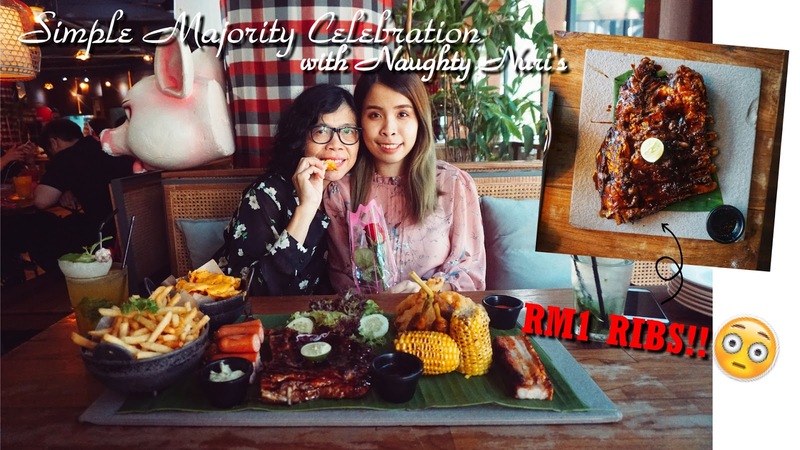 In conjunction with the new hopes for MALAYSIA, you can enjoy RM 1 Naughty Nuri's 1995 Signature BBQ Spare Ribs with minimum spending of RM 135 per table! 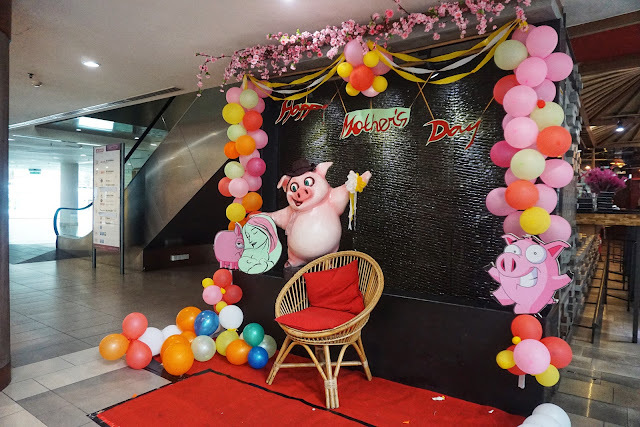 Enjoy your dining experience here at Naughty Nuri's Life Center. I love that it has open-air spaces for us to enjoy our meal here. 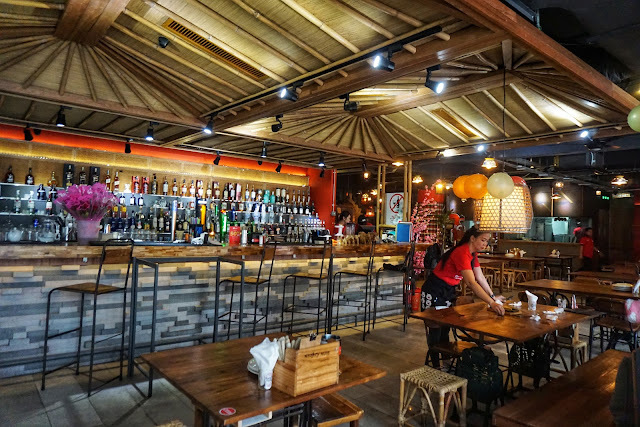 The entire restaurant ambiance is really comfortable and chilling too. 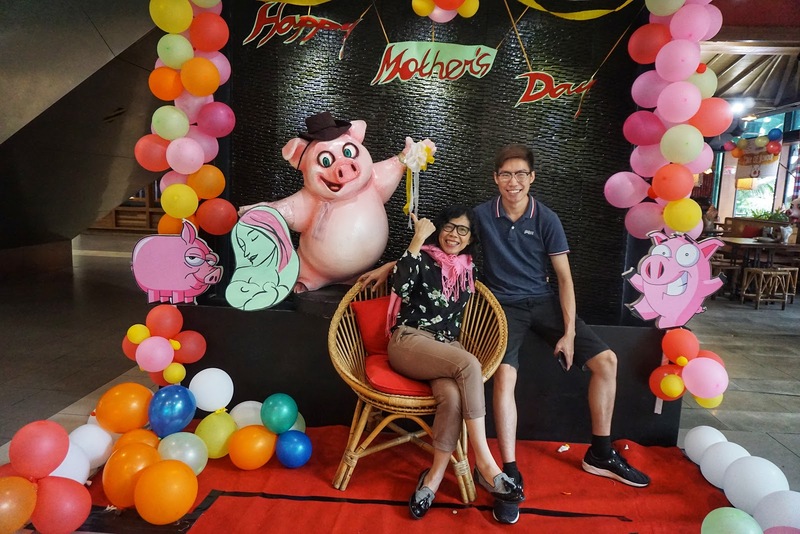 Lastly, Naughty Nuri's also organized Mother's Day Snap and Win contest too! Winners have been announced too on their page. 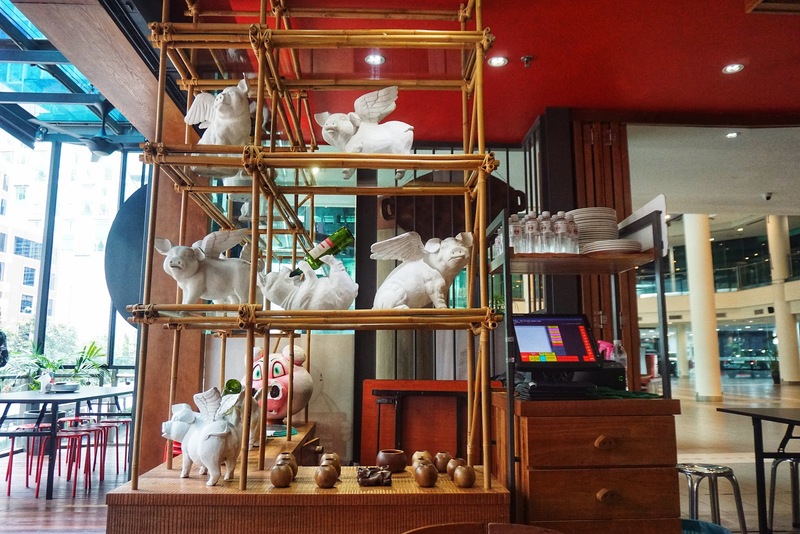 However, we still can't stop taking photo in this cute corner with the piggy! 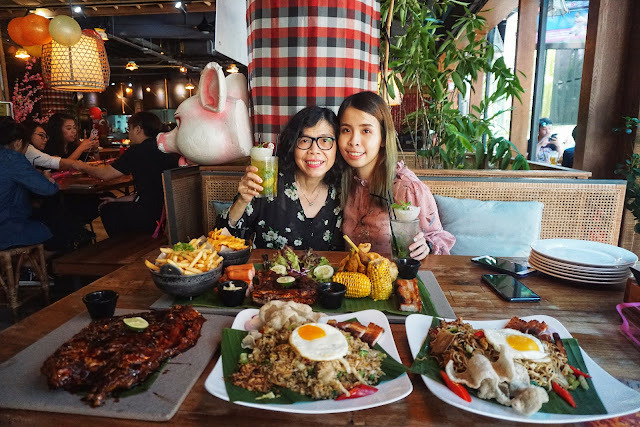 Simple Majority Platter with my beloved mum during Mother's Day! 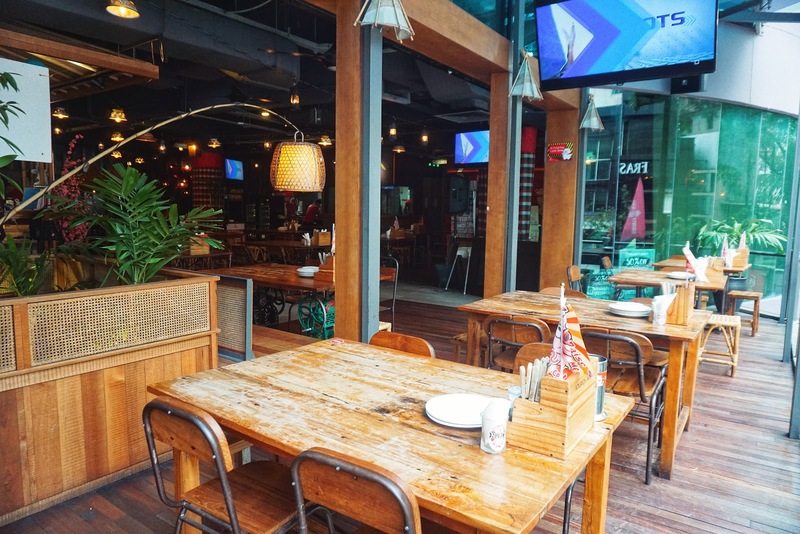 The overall dining experience is really pleasant. I am glad that mum enjoys the Simple Majority Platter and their Signature BBQ Spare Ribs!! Food portion wise is really a big thumbs up and it definitely worth every penny spent here. Gosh, RM1 for that platter, it's unbelievable. Need to gang up with my family and friends, so that we qualify for it! Have heard much about Naughty Nuri's nut haven't tried yet. Now is the chance! 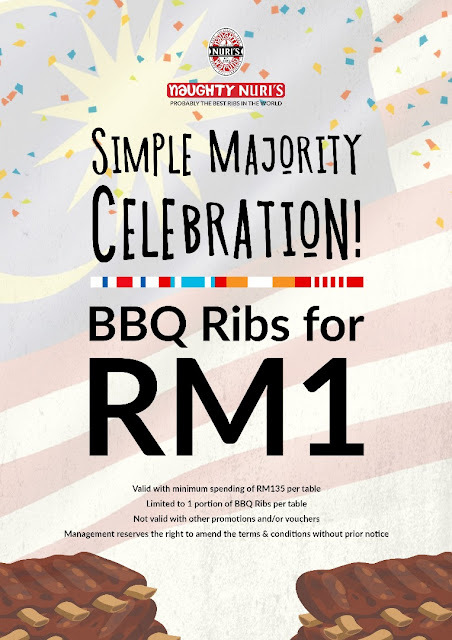 Wah can enjoy BBQ Ribs only RM1 if spend rm135. 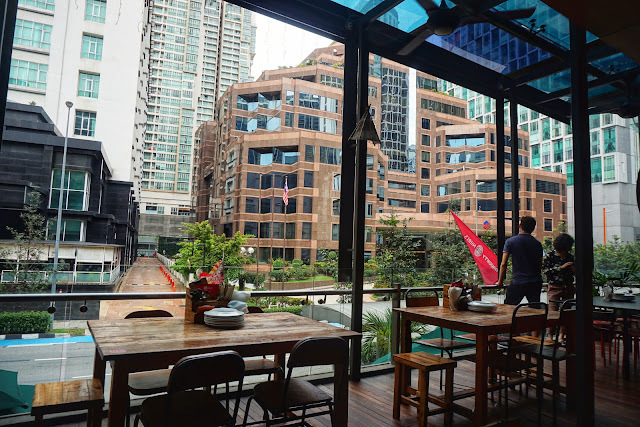 Still interesting for others to enjoying lunch or dinner here. wow their dishes does looks yummy and great plating! 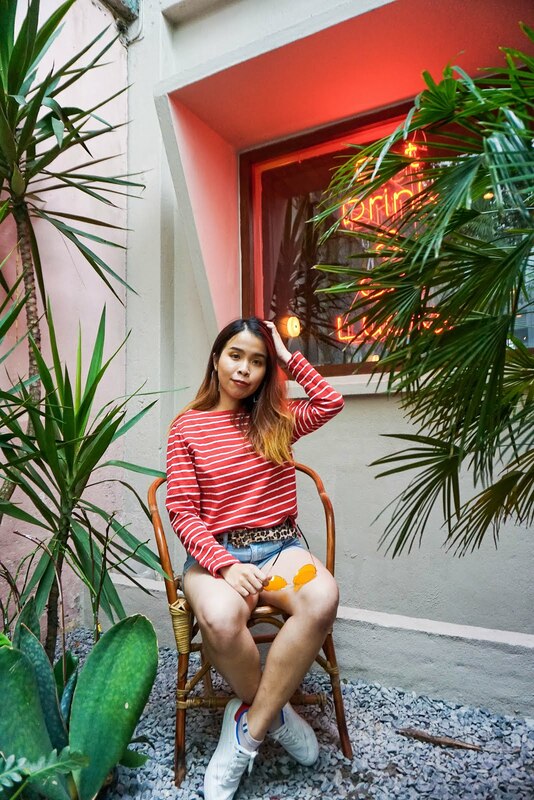 seems like u have so much fun dining there. good for you! That's a great way to celebrate the GE14 and Mother's day too. My friends also a Nuri fanatics too. They love to hangout there, most of the weekends. i think you had a wonderful time with your loves ones..every dishes serbing looks tempting and im sure you really enjoyed..
Heard a lot about naughty nuri but yet to try.. perhaps i should plan one day going there for makan party! !